With midterm break just around the corner, we’ve put together some of the best things to do for Halloween break here in Doolin and its surrounding areas. So round up the family, jump in the car and hit the road for a spook-tacular break in the Burren! Things to do in Doolin for Halloween week..
Take a bike ride along the Wild Atlantic Way and explore the Burren & Cliffs of Moher Geopark – time well spent together. No bikes? No problem. Bike rental is available in the village. 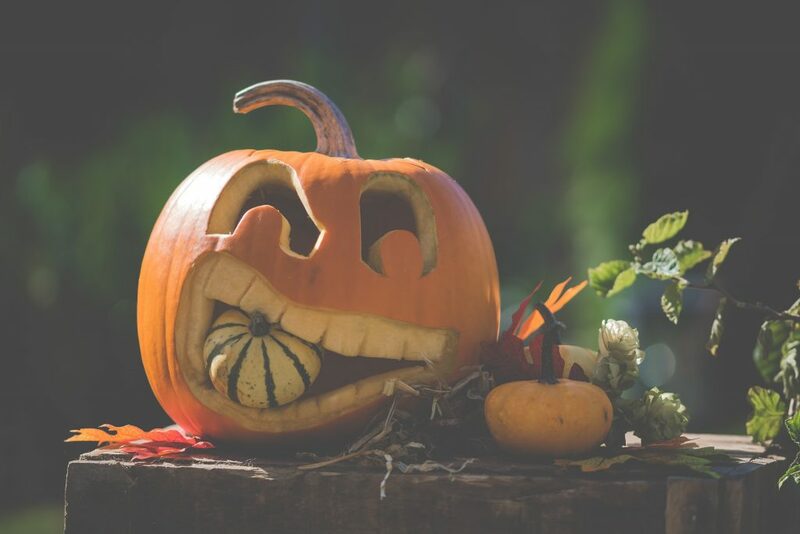 Bring the kids Trick or Treating around the village of Doolin where the locals will welcome you with a smile, Halloween spirit and most importantly.. sweet treats for the loot! Catch some fresh air and scenic views with a guided family excursion on the Doolin Cliff Walk. Enjoy some ‘Halloween Shenanigans’ at the Cliffs of Moher Visitor Centre on the 27th and 28th of October – book online to save up to 50% on entry. Kids under 16 go FREE! Indulge with a family meal in one of the many highly recommended eateries in Doolin Village – most places offer a great selection of fresh seafood as well as family-friendly menus and dining options. Check out some local crafts and take a piece of Doolin home with you – Doolin’s craft shops offer a great selection of luxury products and textiles for all ages. If staying in Doolin for a few days, take a day trip to.. The Burren Food Fayre – Visit the 7th annual Burren Food Fayre in Lisdoonvarna on the 28th October and experience the local food stalls, foraging walks, Live music and more – a great day out for all the family to enjoy. Don’t forget to stop by Doolin’s very own StoneCutters Kitchen popup stall for some tasty treats. The Burren Nature Sanctuary – Take part in Halloween fun at the Burren Nature Sanctuary all throughout the midterm break. Activities include Halloween spooky fun and face painting, fairy woodland walks and opportunities to meet and feed the friendly farm pets at the sanctuary – the Burren Nature Sanctuary is less than an hour’s drive from Doolin Village. The Doonbeg Scare Express – Experience the Doonbeg Scare Express on the 31st October, where the kids will enjoy a number of activities including arts and crafts, Halloween games, a pumpkin Walk, hot chocolate, ghost stories and trick or treating – The Doonbeg Scare Express is less than an hour’s drive from Doolin Village. King John’s Castle – During your stay, take a day trip to Limerick and experience the Spook-tacular Science event at King John’s Castle – the event takes place daily from the 30th October to the 2nd November. Places to stay for Halloween week..
Doolin is a great destination for families – conveniently located nearby all the biggest attractions and towns in County Clare, and right on the seaside. Doolin also offers some great-value accommodation options compared to the big city/town prices along the west coast of Ireland. For those looking for hotel accommodation within Doolin, Hotel Doolin is offering a ‘Hauntingly Good Halloween Offer‘ which includes a 3 night stay with breakfast, a welcome drink, a 2-course meal, and Halloween activities for only €435 (2 adults & 2 children). Doolin Inn is also an excellent choice for hotel-standard accommodation within the village and is renowned for its gourmet breakfast selection. Other fantastic accommodation options include Lodges, Bed & Breakfasts, Guesthouses, Hostels, and Self-Catering. View all accommodation options here – limited availability, pre-booking essential. Be sure to explore the rest of our website to find out more information, or to plan your next visit to beautiful Doolin in County Clare.